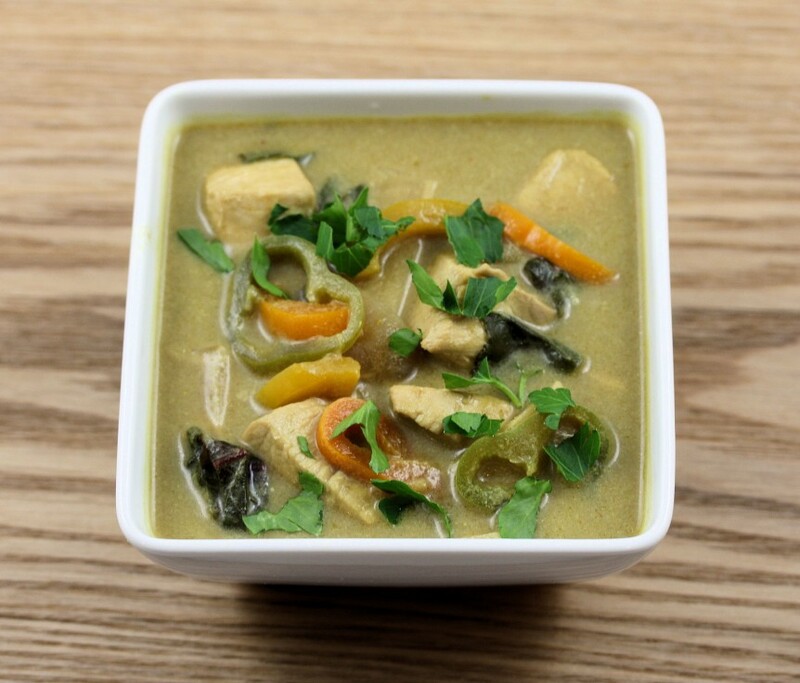 This delicious, fragrant Thai green curry really packs a flavour punch. To make the curry paste, peel, roughly chop and place the garlic, shallots and ginger into a food processor. Trim the lemongrass, remove the tough outer leaves, then finely chop and add to the processor. Trim and add the chillies along with the cumin and half the coriander (stalks and all). Blitz until finely chopped, add the fish sauce and blitz again. Slice the chicken into 2.5cm strips and place into a large pan on a medium heat with 1 tablespoon of oil. Fry for 5 to 7 minutes, or until just turning golden, then transfer to a plate. Reduce the heat to medium-low and add the Thai green paste for 4 to 5 minutes, stirring occasionally. Pour in the coconut milk and 400ml of boiling water, crumble in the stock cube and add the lime leaves. Turn the heat up and bring gently to the boil, then simmer for 10 minutes, or until reduced slightly. Stir in the chicken and mushrooms, reduce the heat to low and cook for a further 5 minutes, or until the chicken is cooked through, adding the mangetout for the final 2 minutes. Season carefully to taste with sea salt and freshly ground black pepper. Pick, roughly chop and stir through the basil leaves and remaining coriander leaves. Serve with lime wedges and steamed rice.